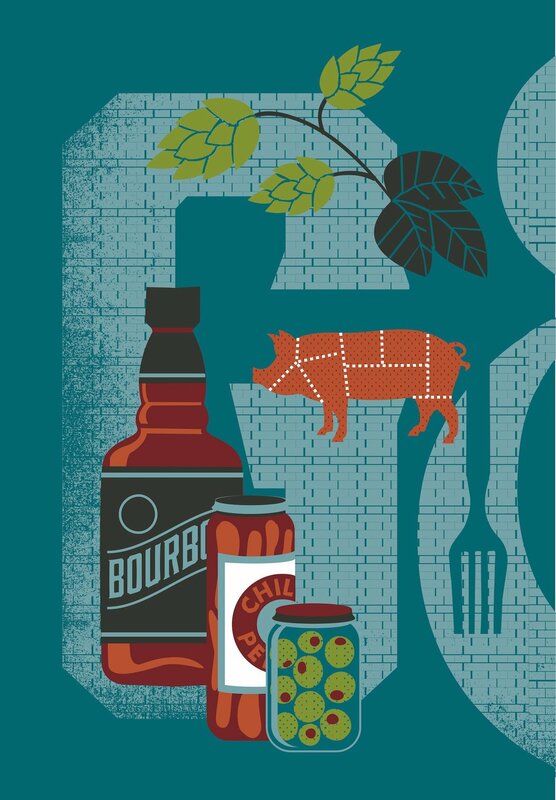 Nestled in the cozy and historic city of Fort Thomas, KY, Grassroots & Vine is an artisan food market, eatery, retail bottle shop and tasting room bar where friends gather and enjoy thoughtfully crafted food paired with their favorite beverage. We offer a unique selection of artisan food and beverage items from local and regional farms focusing on small batch and farm-to-table items including artisanal cheese, spreads, olive oils, confections, gifts for the pantry, wine, craft beer, spirits and more! We invite you to stay and enjoy in-shop, on the patio or take it to go. Grassroots & Vine offers a crafted yet simple menu where good food and your favorite beverage go hand-in-hand. We partner with local and regional farmers, bakeries, cheese makers, wineries, distilleries and breweries to infuse their labors of love into our menu selections. Join us for lunch between 11 - 3pm Tuesday through Saturday. Dinner 5-9pm Tuesday through Thursday; 5-10pm Friday and Saturday. Inquire about our pre-packaged gift baskets or create your own from our selection of artisan goodies. Discover your new favorite wine, beer or cocktail at Grassroots & Vine. We offer an extensive selection of alcoholic and non-alcoholic beverages available to enjoy on site or to go! GRASSROOTS & VINE is an all-in-one community destination new to Northern Kentucky. A dedicated artisan food market, eatery, retail bottle shop and tasting room bar located in the Historic Midway District of Fort Thomas, KY.
G&V was born out of passion for community, common ground and rich local, regional and international flavor. We source only the best artisanal cheeses, local honey, small batch wines, local craft beer, and robust Kentucky bourbon. Visit G&V during the day and experience a warm, neighbor vibe. Meet up with friends and order from our lunch menu, discover your new favorite cheese, enjoy a slice of delicious chocolate cake or create the perfect gourmet gift basket. Visit our tasting room bar in the evening, relaxing with friends over a glass of wine. Pair it with one of our charcuterie or cheese boards while listening to live music or unwinding under the stars on our patio during the warmer months.